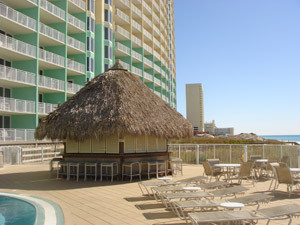 It doesn't get much better than Emerald Beach Resort for Panama City Beach living. This modern, luxurious property boasts incredible views and offers a wonderful variety of amenities including an infinity edge pool and hot tub, on-site Starbucks, sky sports bar, high speed elevators and covered parking. 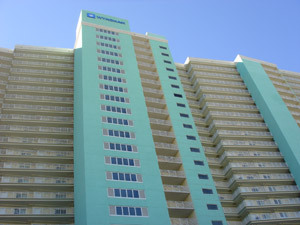 Emerald Beach condos sit on 1000 feet of glorious gulf-front property, and are located centrally for easy access to all areas of the beach. 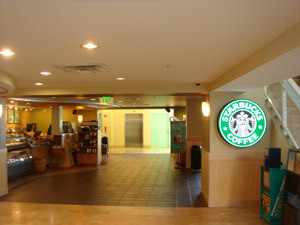 Units offer expansive floor plans and a stylish design throughout.